A teacher at a middle school in Gwangjin, Seoul, has come under fire after a handful of students alleged that he made lewd, sexist comments during class, education authorities said Tuesday. 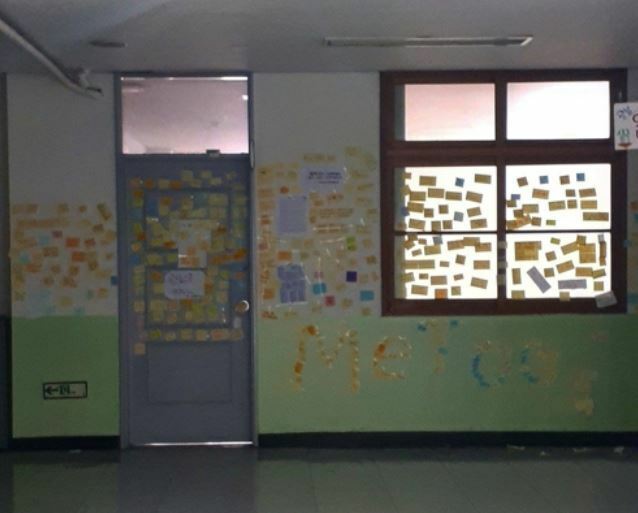 Students shared their experiences anonymously via post-it notes and stuck them all over the campus, accusing one teacher of sexual harassment and sexism. The Seoul Metropolitan Special Education Office said it had launched a special investigation in response to the allegations.